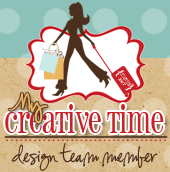 Welcome to another 3D Wednesday at My Creative Time! We are making fun 3D projects using MCT stamps and dies! And since Christmas is just around the corner, I thought I would make this cute tree using one of my favorite MCT Die, the rolled flowers. Ive seen these little tress around but thought I could make my own. 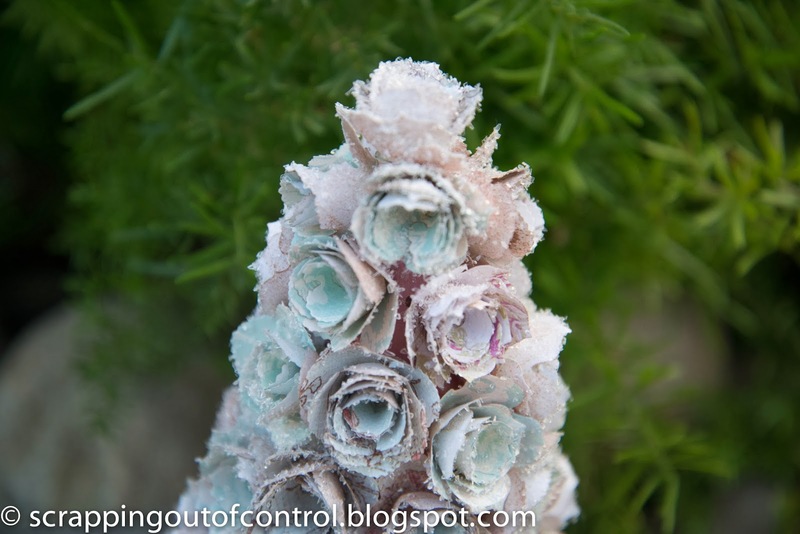 I rolled a 12 by 12 sheet of paper into a cone type shape and hot glued the flowers to the whole tree. It took a while but it saved me some money! I want to make a ton of these to decorate my home! What do you think?? Thank you for stopping by and don't forget to visit the rest of the design team! Also if you haven't done so, make sure you submit your creations to Miss Emma's design team call!! I need to work on mine! Big crafty hugs to you all and happy hump day! Your tree is gorgeous my goodness I'll say it took you lots of time but it is absolutely gorgeous and I'd say go for it your home with these trees all around will be the talk of your town. You sure are one talented gal. What did you use for your flowers because they have a special look about them the edges look so shaby chic I love them a lot!! You are absolutely one very talented gal!!!!!! Nancy ~ What do I think? I think it is STUNNING, GORGEOUS and I promise I did not steal this from you!! LOL! I am seriously working on one right now! LOL! I don't think mine will be as GORGEOUS as this tree! LOVE it!!! and the colors!! Absolutely gorgeous! I can tell it was a lot of work, but so worth it! You'll enjoy it for many years to come! 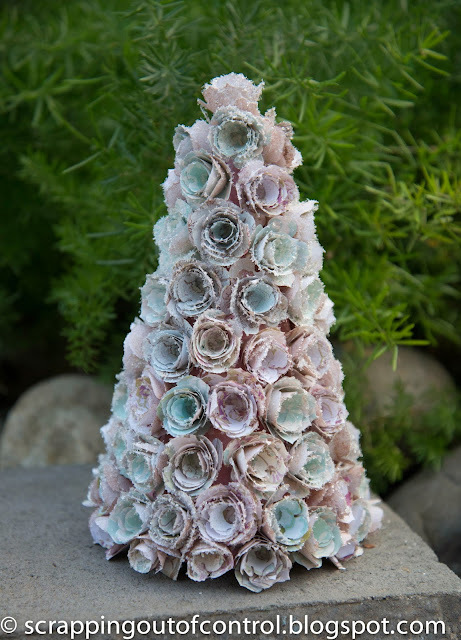 This is beautiful but with 75 to 100 flowers per tree I might go with making maybe 2 per year....I can't imagine making lots of them at one time. Wonderful job...I love it!